Kelly Services, Inc. is an American office staffing company that operates globally. Conti Corporation offers multi trade contracting services. Its construction services include designing, building, fabrication, installation, training, and maintenance. The company provides services in various divisions, including renewable energy, electrical, technology, mechanical, fire suppression, HVAC+R, and road and underground. It serves commercial and industrial markets. Conti Corporation was founded in 1969 and is based in Sterling Heights, Michigan. It has locations in Irvine, California; Las Vegas, Nevada; Pompano Beach, Florida; Grand Prairie, Texas; Detroit, Midland, Grand Rapids, and Monroe Michigan; Nashville, Tennessee; Sacramento, California; and Ontario, Canada. Bartech provides contingent workforce management, staffing, consulting and BPO solutions. NSF International is an American product testing, inspection and certification organization based in Ann Arbor, Michigan. Van Andel Institute (VAI) is a 501(c)(3) nonprofit biomedical research and science education organization in Grand Rapids, Michigan. VAI was founded by Jay and Betty Van Andel in 1996 and comprises four divisions: Van Andel Research Institute (VARI), Van Andel Education Institute (VAEI), Van Andel Institute Graduate School (VAIGS), and Purple Community. Strategic Staffing Solutions is a global IT staffing firm with 32 branches around the world. People Powered. Customer Centered. Community Champions. Everyone deserves the opportunity to succeed. Discover people-first employment solutions for job seekers and employers. MSX Intl. is a business process outsourcing company operating in 80 countries. We work with automotive OEMs to improve their dealer network performance. Learn why the building design and construction services Walbridge has provided for more than a century have been paramount to the foundation of our nation. Custer designs and builds commercial and corporate workspaces that connect people and empower them to do their best work. Altair Engineering Inc. is an American product design and development, engineering software and cloud computing software company. Omni is a tech-based on-demand storage and rental company based in San Francisco, California. Founded in 2014 by Aaron Wiener, Adam Dexter, and current CEO Tom McLeod, Omni debuted its service in Fall 2015. Initially, the company focused on storage and space-management: customers would have their items picked up by Omni, which would categorize and photograph them. When the client wanted their item back, they would request to have it dropped off by Omni, possibly at an additional fee. Omni has since expanded into offering other services such as the option to lend items to friends and the ability to rent out items for profit. As of July 2018, Omni is only available in the San Francisco Bay area, but has announced plans to expand into Portland, Oregon. Omni has raised around $39 million in investment, with nearly $15 million coming from traditional sources such as venture capital firms and approximately $25 million coming in the form of XRP, a cryptocurrency developed by the company Ripple. We are an independent network in service of creativity. TD Auto Finance LLC operates as an auto financing company that focuses on providing automotive financing options. It serves consumers through automobile dealers in the United States. TD Auto Finance LLC was formerly known as Chrysler Financial Services Americas LLC and changed its name to TD Auto Finance LLC in April 2011. The company was founded in 1964 and is headquartered in Farmington Hills, Michigan. As of April 1, 2011, TD Auto Finance LLC operates as a subsidiary of TD Bank, N.A. At Temple Israel we uphold Reform Jewish principles through lifelong learning while making a difference in our community and world. Learn more about us and join us on our mission. Dykema is a law firm serving business entities worldwide on a wide range of complex legal issues. Kalamazoo Central High School is a public high school in Kalamazoo, Michigan serving students from ninth through twelfth grades. Agree Realty Corporation (NYSE: ADC) is a fully-integrated, self-administered, and self-managed REIT focused on the acquisition and development of single tenant net lease retail properties throughout the United States. Distributor of hydraulic, pneumatic, and electric components providing innovative solutions for our customers and offering superior products. Urban Science is a global consulting firm that uses science to help clients identify and improve market share, sales and profitability, and customer loyalty. With Employees Only HR outsourcing and payroll services large and small business are able to focus on and grow the parts of their business that matter the most. 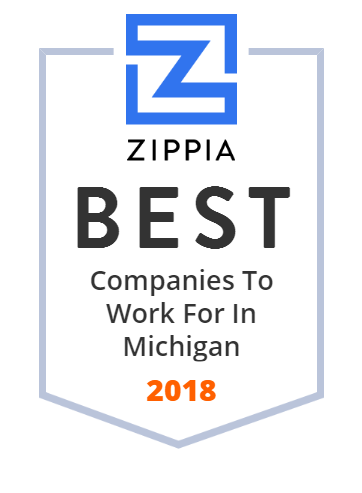 Experienced Michigan trial attorneys providing legal services to clients in commercial and business disputes, product liability, insurance coverage and defense litigation. Call: 248-649-7800. Inspired by the wisdom and values of Jewish tradition, we strengthen lives through compassionate service. Videos you can feel. Lawrence Productions is a full-service video production company serving Grand Rapids, Kalamazoo, Battle Creek and all of West Michigan. The W. K. Kellogg Foundation was founded in June 1930 as the W. K. Kellogg Child Welfare Foundation by breakfast cereal pioneer Will Keith Kellogg. In 1934, Kellogg donated more than $66 million in Kellogg Company stock and other investments to the W. K. Kellogg Trust (equivalent to $950 million in 2016). As with other endowments, the yearly income from this trust funds the foundation. Macomb County is a county located in the eastern portion of the US state of Michigan and is part of metro Detroit. We are an Outsource Risk Management Company and Independent Insurance agency focused on delivering the best service to our customers. DSD is an engineering and architecture firm headquartered in Southfield, Michigan with a branch office in Burton, Michigan. Genesee Intermediate School District is an Intermediate School District in Michigan serving the school districts that primarily lie within Genesee County. Stanton & Associates, Inc. owns and operates Wendys and Biggby Coffee franchised restaurants and cafes. It also operates stores that sells various foods and drinks, including coffee, ready to eat sandwiches, desserts, choc peanut butter stacks, lemon pound cakes, apple crumb cakes, hot chocolates, kids drinks, fruit smoothies, and low calorie drinks. The company was founded in 1974 and is based in Jackson, Michigan. Oak Park High School is a public high school located in Oak Park, Michigan an inner suburb of Detroit. Hanson Mold specializes in the design, build, sample, and inspection of precision molds - primarily for the die cast industry. Die cast die or injection. Tpod1 can light an entire room using only a tea light candle! Use it during a blackout or brownout, or to just save money on energy bills! The Michigan State University Federal Credit Union (MSUFCU), headquartered in East Lansing, Michigan, is the largest university-based credit union in the world in membership and asset size. MSUFCU is a federal credit union chartered and regulated under the authority of the National Credit Union Administration (NCUA). A variety of financial products and services are provided by MSUFCU including deposit accounts, personal and business loans, investments and insurance. MSUFCU is owned and operated by members of the Michigan State and Oakland University communities. As of August 2018, MSUFCU has eighteen branches, a membership of over 251,000, and over $3.8 billion in assets. Bellevue Community Schools serves K-12th grade and is located in Bellevue, MI. GMB Architecture + Engineering is a full service A/E firm. We serve clients in the Higher Education, Healthcare, Corporate, Industrial and K-12 sectors. Success should be mutual. For over 40 years, M&O Marketing has provided strategic support & creative services for independent financial professionals. Maddin Hauser provides legal services that are second to none. Our attorneys deliver insightful, innovative solutions to achieve our clients' goals. At TTi Global, driving change is at the heart of who we are. It's a philosophy that has allowed us to grow from a small, family-run business to one of the world's most trusted and innovative providers of business performance solutions. Plante Moran is the 11th largest certified public accounting, professional services, and business advisory firm in the United States offering audit, accounting, tax, investment banking, wealth management, and business advisory consulting services. Rehmann is a fully-integrated financial services firm of CPAs and Business Consultants, Wealth Advisors and Corporate Investigators. ADAC Automotive, Inc. designs, develops, and manufactures automotive products for OEM customers worldwide. The company offers exterior door handles, interior door handles, and other products. Its services include advanced design and engineering, product validation, quality support, program management, and global production and support. ADAC Automotive, Inc. was formerly known as ADAC Plastics, Inc. and changed its name to ADAC Automotive, Inc. in 2006. The company was founded in 1975 and is headquartered in Grand Rapids, Michigan with sales and engineering offices in Auburn Hills, Michigan. It has locations worldwide. Our mission is to revitalize the heart and spirit of family and community by loving and serving through Jesus Christ. Howard & Howard handles a wide variety of business law matters with offices in Michigan, Illinois, Nevada, and California. ArtiFlex Manufacturing, LLC provides designing, tooling, automation, past model servicing, factory assistance, and low volume tooling/production solutions for the automotive and agricultural industries. The company provides manufacturing engineering solutions as a contract manufacturer of mid to low volume sheet metal stampings and assemblies. It designs, installs, and services electrical control systems; produces van bodies and special truck bodies; and designs, engineers, constructs, and tryouts tooling products. The company s services include tool and die design and build, tool development, prototypes, blanking, stamping, manual and robotic assembly (spot weld, MIG, TIG, rivet, clinch, pierce, and projection weld), conventional hemming and robotic roller hemming, e-coating, after hem sealing, and packaging and warehousing. It sells its products to dealers and repair shops worldwide. The company was founded in 2011 and is based in Grand Rapids, Michigan. It has facilities in the Midwest and Southern United States. ArtiFlex Manufacturing, LLC operates as a joint venture between GerCo Holdings, Inc. and International Tooling Solutions, LLC. We are a top market research and consulting firm that combines insights with deep industry knowledge to help the world's most successful businesses thrive. Lamar Construction Company is a Michigan-based national firm providing a broad range of commercial construction services. Mt. Zion has been serving the Southeast Michigan community through more than 50 ministries for over 30 years! We want to Help you and your family experience the very best of life! At Hayman Company we are dedicated to providing the best in apartment homes. To learn more about our apartment communities, please visit our website. Poch Staffing, Inc. provides staffing services to Fortune 100 corporations in the United States. The company offers professional, direct, temporary, and contract-to-hire placement services in the areas of engineering, information technology, accounting, management, human resources (HR), sales and marketing, skilled trades, science, construction, office and administration, and transportation. It provides services, such as onsite HR management, screening and interviews, consultation, and skills testing and training. The company was founded in 1996 and is based in Kalamazoo, Michigan. Commonwealth Associates, Inc. is a US engineering design firm headquartered in Jackson, Michigan. Giffels Webster is a collection of people - civil engineers, landscape architects, planners, surveyors and GIS specialists - who choose every day to make communities better.